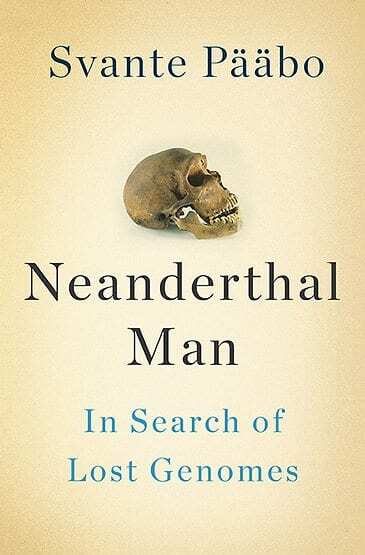 Here at 23andMe we have an interest in all things Neanderthal, so when none other than Svante Paabo authored the book Neanderthal Man: In Search of Lost Genomes we had to check it out. 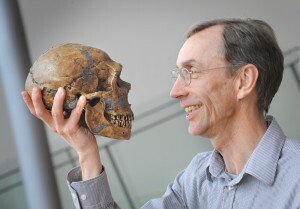 Professor Paabo, the director of evolutionary genetics at the Max Planck Institute for Evolutionary Anthropology in Leipzig, Germany, was the first to decode the Neanderthal genome. This book is the story of that Herculean effort. Extracting ancient DNA isn’t as easy as they make it sound in Jurassic Park. Much of the book details the painstaking trial and error it took to figure out how to do so. Simply extracting the requisite amount of DNA from bones tens of thousands of years old often requires more than one bone sample. Finding samples of bones can take delicate negotiations with old guard museum curators or political hacks. And then there are the perennial problems of contamination, making getting an accurate sequence very difficult. Paabo’s feat was anything but easy. If Paabo weren’t such a good storyteller, the book might have bogged down with descriptions of things like the different techniques of polymerase chain reaction, and all it takes to build a clean lab. But he’s a clever enough writer to to keep the reader’s attention with a fast-paced story and wonderful details. One of the many great details is an odd scene played out at the Natural History Museum in London. While there looking for possible sources of ancient DNA, Paabo was utterly astonished to watch a curator lick an old bone to determine whether it had been coated in some kind of preservative or not. Paabo, who’d been in the midst of his struggle to overcome contamination in ancient samples, stared in disbelief and wondered how many other bones in the collection had been “checked” in this way. For us here at 23andMe, we paid particular attention to another short scene Paabo describes at Cold Spring Harbor, involving one of our scientists. It happened just days after Paabo’s groundbreaking announcement of the sequencing of the Neanderthal genome in 2010. After he gave his talk, he described listening with complete delight to Cory McLean, then a doctorate student at Stanford and now a senior computational biologist at 23andMe, report on his work comparing human and ape genomes, looking specifically for regions where humans differed from other apes. Although the Neanderthal sequence had been published just days before, Cory had also included the Neanderthal genome in his analysis. Knowing the Neanderthal genome sequence in those regions helped to identify genome differences unique to modern humans versus those we share with Neanderthals. The publication of the Neanderthal sequence is, as University of Wisconsin-Madison paleontologist John Hawks said, “an immense gift to humanity.” This is because it allows us to see the story of the evolution of modern humans.